Television shows are works in progress, and long-running shows often end up much different than the way the show was originally conceived. TV writers love to tinker with their show’s concept and format, and tinkering can breathe new life into an older series. But the weirdest decision a show can make is to get rid of characters — not by killing them off, but by pretending they never existed in the first place. Here are eight massively successful shows that decided to just write characters out of existence with no explanation. When Ross (played by David Schwimmer) and his wife Carol had a baby, Ben, it started to change the dynamics of the ensemble show. Carol divorced him and went to live with a girlfriend, but Ross had visitation rights. 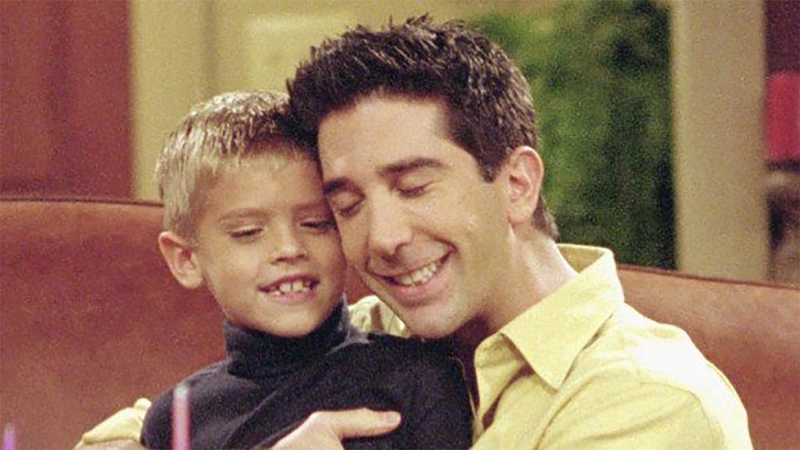 The child’s interaction with his dad served to fuel the plots of several Ross-related episodes. But after the end of the eighth season, Ben went missing — as in, nobody seemed to remember he was ever there. By then, however, Ross had rebounded with Rachel and they had a kid of their own to have parenting episodes with. Fan theories suggest that Ross lost custody of Ben and the rest of the gang just doesn’t bring him up to keep from upsetting Ross about it. Maybe they should check under the couch cushions? With such a huge cast of talented actors you’d be hard pressed to remember Mandy Hampton from the first season. Her character, a media savvy political consultant who was also an ex-girlfriend of Josh Lyman, really didn’t fit either in the working environment or as a love interest/foil, and when rumors of a season finale shooting began circulating people assumed she would be killed off. However, it was the president who was hit (along with his deputy chief of staff) and Mandy just kind of wandered off, never to be heard from again.